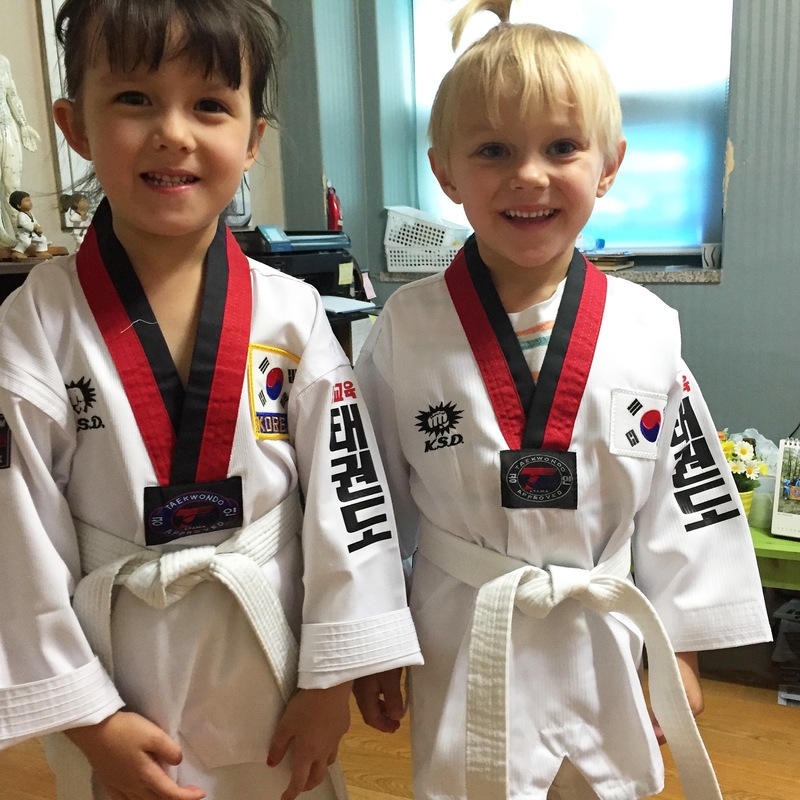 Finn started his first taekwondo class last week. He was nervous about it, but once his best friend Abby signed up, he was ready to go. Especially since that meant a really cool white uniform and a class with bigger kids who doted on him the entire time. Taekwondo became An Olympic Sport in 2000. There are six colors of belts in the sport: white, yellow, green, blue, red, and black. The Taekwondo uniform is called a dobok. A taekwondo gym or studio is called a dojang. Taekwondo is also used by the South Korean military as part of its training. Previous Post Explore Korea by bike… with KIDS! Great to see your son participating in taekwondo! I did it as a child and I still do it now and it has definitely helped keep me in shape, but overall it helped me memorize, practice and apply the success cycle as well and it’s stayed with even in every area of my life! I hope your son continues to participate! Thanks for your comment, Kris. That’s so cool to hear that you have made it a lifelong sport. I’m definitely interested in signing up as well. As I have been watching my son’s class, I keep thinking, this looks fun!! I definitely think you should! Gets your workout out of the way and its another subject for you and your son to talk about!